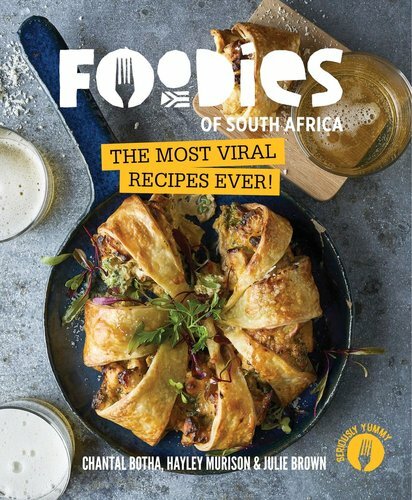 With over 730 000 followers on Facebook, including a few local celebrities like Lorna Maseko and Dineo Ranaka, Foodies of South Africa’s videos have gone viral. In the last year their videos got more shares than all of the top 50 brands in the country combined. Every week 4 million of their fans view their delicious recipes – in a good week this figure goes up to 10 million. Their fans also love to comment on and share the recipes and even upload photos when they have made the dishes. The book will also include several fan comments from Facebook. To the team from Foodies of SA food is much more than just food. It is also an intimate and intricate part of one’s life story, it is belonging, heritage, culture . . . and connection. This is a book that is bound to become a much-consulted, dog-eared, flour-dusted, timeworn companion.